Washington, D.C., March 28, 2017 – Today, the Alliance for Aging Research’s (Alliance) Vice President of Public Policy Cynthia Bens testified before the U.S. House of Representatives’ Energy and Commerce Committee, Subcommittee on Health, in regard to reauthorization of the Medical Device User Fee Act (MDUFA). The MDUFA program is due to be reauthorized by Congress in 2017. The original act, which was passed in 2002 as the Medical Device User Fee and Modernization Act, authorized the U.S. Food and Drug Administration to collect fees from the medical device industry to support its review activities. In turn, the FDA agreed to specific performance goals that would result in more timely access to medical devices for patients. In her testimony, Bens offered the Alliance’s perspectives on the benefits of the MDUFA IV agreement for FDA, patients, and industry. 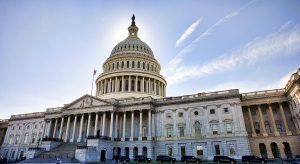 Bens added that the Alliance has played a key role in the reauthorization process, advocating for greater patient input and the increased use of real-world evidence in the FDA’s medical device review process. Bens’ complete statement be can found here.